The L.T. Sue Co. features a refined selection of various loose leaf green, white, oolong, black and chai teas, along with specialty herbal tisanes, and tea blends. Twenty percent of our profits go towards helping preserve and revitalize Hanford’s historic China Alley. The L.T. Sue Co. Tea Room was featured on Dine Out Along the Road. Our online store features all of our teas. Choose from a wide array, and stock up on the goodness today! Be assured that we source only the finest quality teas from around the world and our tea blends are freshly made on site in China Alley. 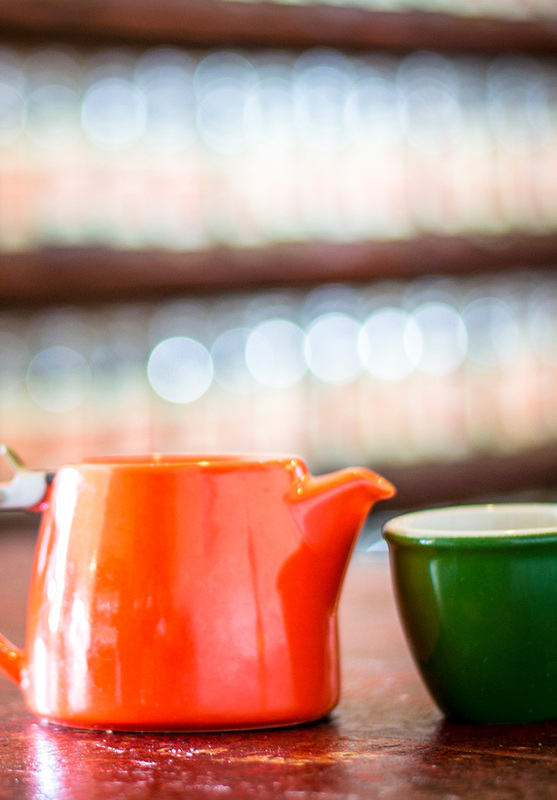 Relax and enjoy a tea in our tea room, take our loose leaf tea home, or order online! We source only the finest quality teas from around the world. Our tea blends are freshly made on site in historic China Alley. Black tea undergoes full oxidation and fermentation. The leaves then turn black and acquire their strong, typical flavor. Black tea contains a number of antioxidants, which are said to combat inflammation and support healthy immune function. White tea buds and select leaves are harvested and simply air dried. The minimal processing may allow the white tea leaves to contain up to three times more beneficial antioxidants than green or black tea. Green tea is believed to have been discovered by the Chinese over four thousand years ago. Unlike black tea, green tea leaves are simply steamed, ensuring the preservation of useful antioxidants, tannins, and flavonoids. Tisanes are an herbal or plant infusion prepared by combining hot water with fruits, leaves, roots, or grains. The resulting beverage may be served hot or cold. Herbal tea has been consumed for nearly as long as written history.